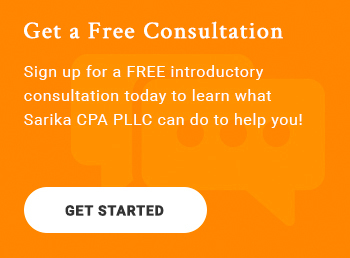 Sarika CPA PLLC, a leading Raleigh and Wake Forest CPA firm, provides tax services to local businesses and individuals in North Carolina and all states. For businesses, we provide a multitude of services designed to minimize your company's tax liabilities and maximize profits. Our typical business tax services include strategic year-round tax planning, IRS assistance, succession planning and annual business tax return preparation. For our individual clients, we also provide IRS tax help, tax planning and income tax preparation services. At Sarika CPA PLLC, we provide both businesses and individuals with annual tax return preparation services. Sarika CPA PLLC provides IRS problem resolution services including audit representation, liens, levies, wage garnishment, back taxes and more. If you need help with taxes in the Wake Forest area, call Sarika CPA PLLC at 919-395-5113 today or request a consultation through our website.